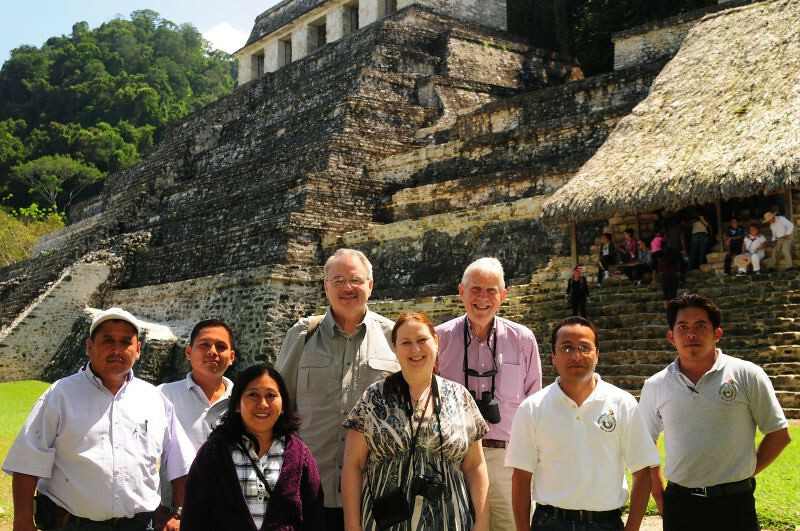 Program participants and Amextra staff enjoy a tour of ancient Mayan ruins just outside Palenque, Chiapas. UNESCO declared the Palenque ruins a World Heritage site in 1987. Read more about the archeology of this historic site here; see more photos of the site here.